Autumn and winter are some of my favourite times of year, but the darker days mean that the lights have to be on a lot more. Choosing the right kind of lighting can really make the difference to a room and with places like First Choice Lighting this is made easy. 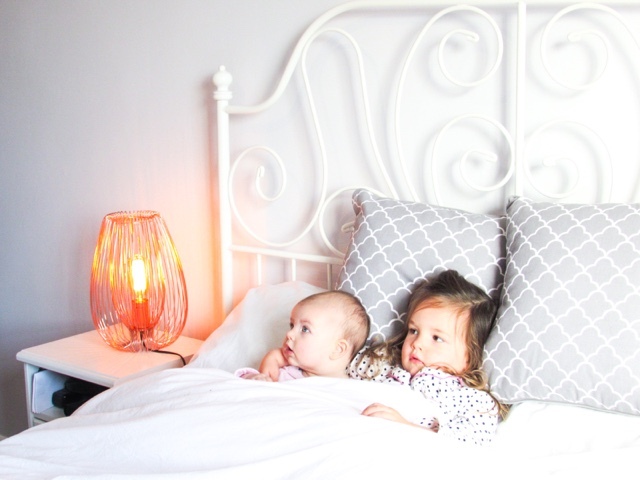 When it comes to shopping for lighting I am always looking for convenience, especially since having children. I simply don't have the time to spend hours browsing various stores, only to probably end up at the one I started at! This is where the vast range of ceiling, floor, table, outdoor and wall lights available at First Choice Lighting is ideal because they really do have every type of light you could need in one place. They also have a really large clearance section, so if you have a tight budget or are looking for a bargain then it is really worth checking out. 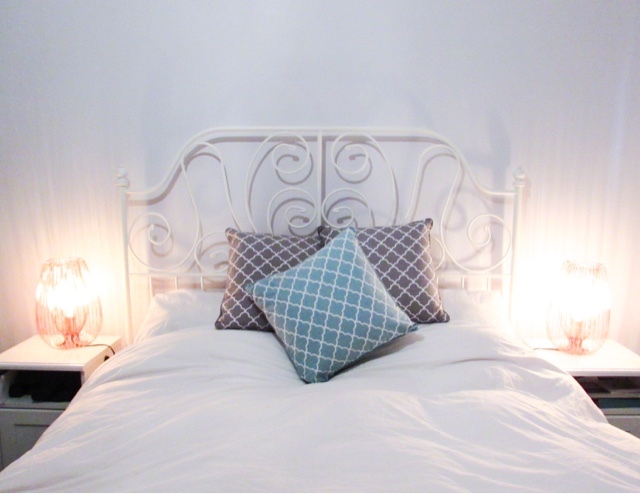 This Pair of Contemporary Modern Copper Wire Table Bedside Lights* (£59.99) are from the Clearance section and I really love their style and design. They were originally £96 for the pair, so they've had a very significant reduction but if you're looking to buy them this weekend (24-26th November 2017) then use the code 'BFW' to get a further 20% off. This would make them £47.99, which I think is a really good price for such a statement piece of lighting. You can put in a regular lightbulb into these lamps, but I opted for these vintage style bulb to add a fun twist. 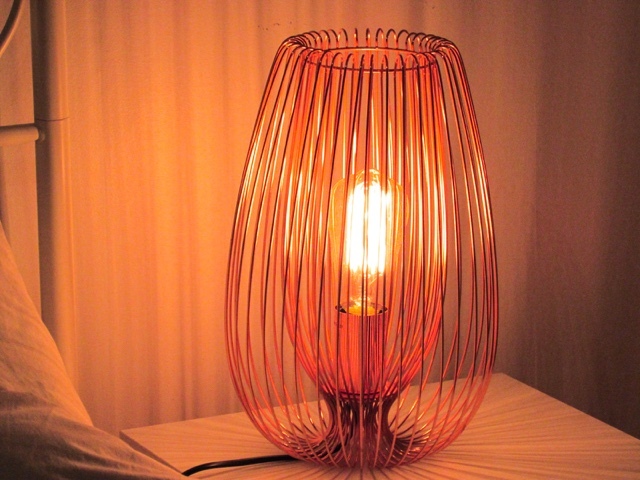 I think the vintage bulb compliments the contemporary wire design of the lamp really well. Depending on what you are looking for, you can also pick these lamps up singly or in Matt White, Satin Gold or as ceiling light shades. 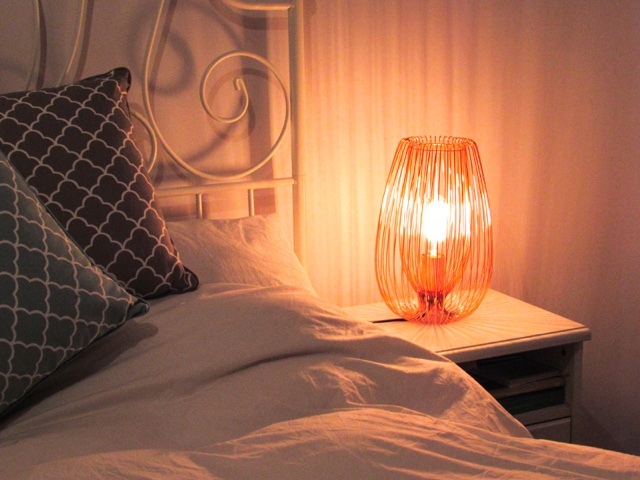 When the lamps are on they create a pretty light pattern in the room, giving it a really cosy feel. 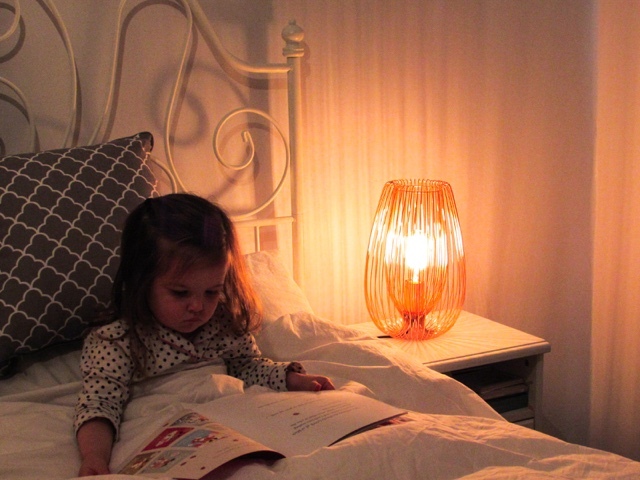 As you can see Isabella has loved getting snuggled up in my bed with the lamps on and reading a book before bed. The service and delivery from First Choice Lighting was outstanding, speedy and the lamps were packaged really securely. I would recommend checking out their lights, especially this weekend (24-26th November 2017) as it is 20% off the whole clearance section using the code BFW. 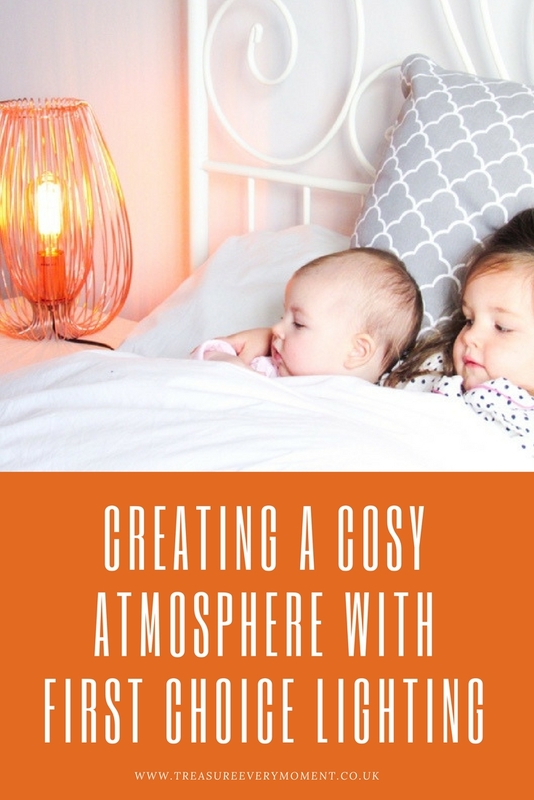 What are your favourite style of lights for creating a cosy atmosphere? I LOVE lighting like this. It's just perfect for your bedroom! Especially at this time of year. Those bedside lamps would fit perfectly in my bedroom. Love them! 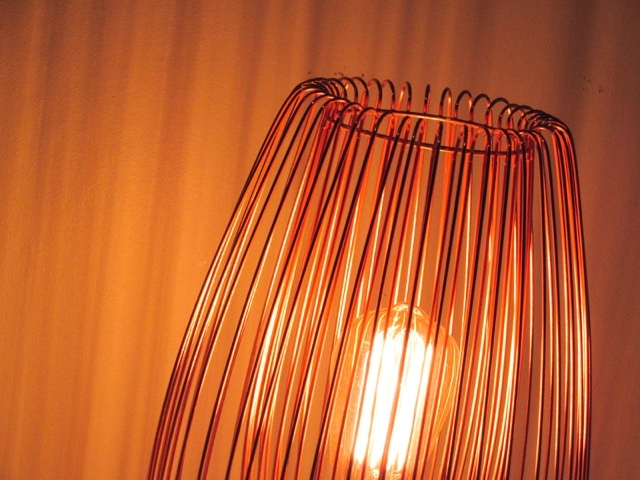 Such beautiful lamps! They look so quirky! Also how cute are your little ones?! I love that lamp, very cool.